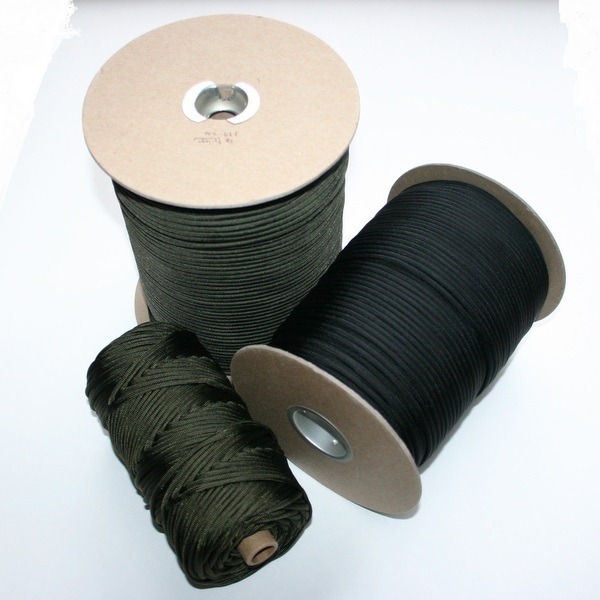 Holding the same US Government contractor made Paracord offered to our customers in shorter lengths, these reels offer the same strength and multitude of uses but in greater quantity. 300, 600 and 1000 foot continuous reels are available. Made in the United States, this cord is tested to a breaking strain of 550 lbs or 250 kg and with a diameter of 5/32" or 4 mm this cord features a 7 strand core. These strands can be removed to provide smaller diameter threads for delicate repairs or survival tasks.